Far West Academy of Sport (FWAS) acknowledges the FTEM model of holistic athlete development. Reflect latest research on athlete talent identification and development. Tennis in partnership with Tennis NSW. FTEM, is representative of the ‘whole of sport’ pathway which includes active lifestyle activities, recreational and high performance sport. Is for athletes who are not supported by other system partners such as NSWIS. 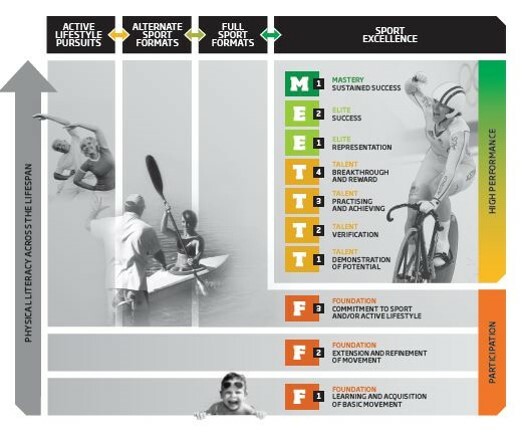 FTEM model of holistic athlete development.